REVIEW - One Upon Light - Use a Potion! 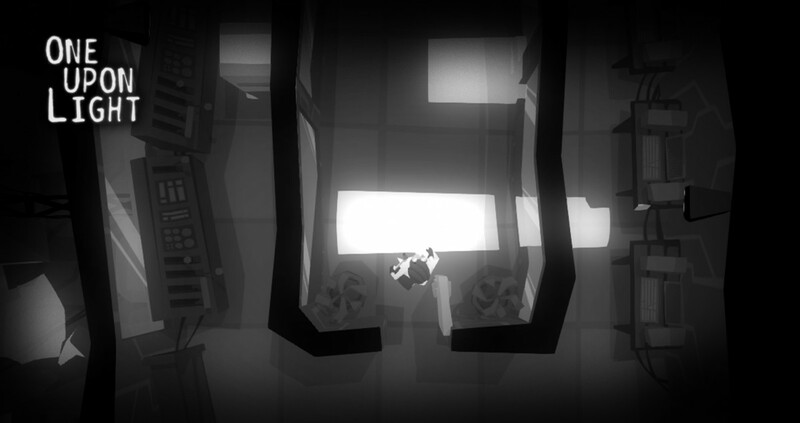 The gaming market is inundated with puzzlers these days, especially on the indie scene. This is no bad thing; I’m a fan of constantly baffling brain teasers, and some of my favourite games over recent years have been these enigma filled titles. With so many puzzlers available, developers have had to introduce inventive ideas to make their game stand out in the crowd; be it the time-bending powers of Braid, the dimensional rotation in Fez or the use of your shadow in Contrast. 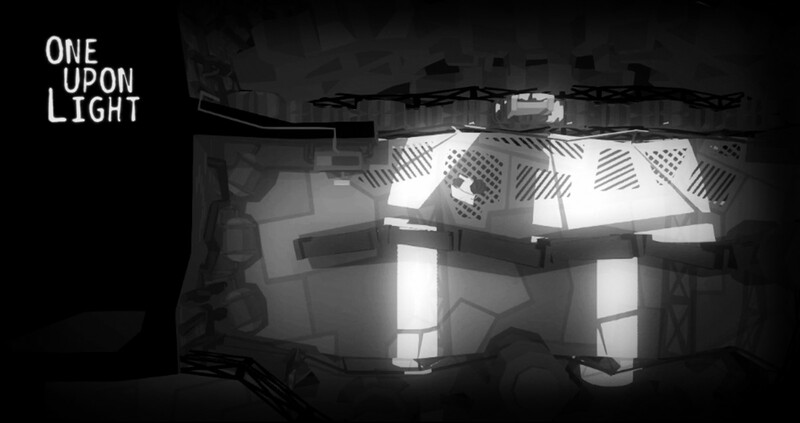 An inventive gameplay hook can make or break a puzzle title. The game opens with you taking the role of a bewildered scientist who has awoken in the remains of a destroyed laboratory. Of course, this scientist is clueless as to why the laboratory is in such a state and where all his colleagues have disappeared to. One thing he is sure of though is that he must avoid light if he is going to survive; thus begins his journey to escape the perilous laboratory and perhaps find out what caused this disaster to happen in the first place. One Upon Light actually does a decent job of keeping its narrative progressing, with the reward for completing each level being a newspaper cutting revealing additional story details. There are also moments of dialogue during some levels; whilst a neat addition, the font and text size of the dialogue doesn’t lend well to those trying to follow the minimal story. Of course, the priority of the game is the puzzles and they are certainly in abundance. 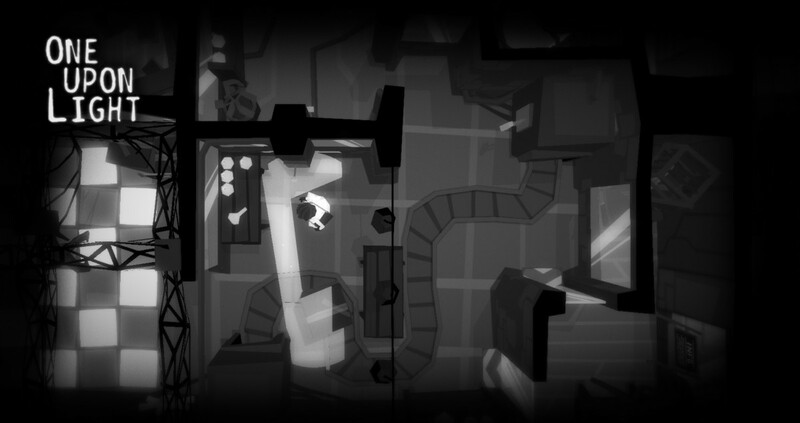 There are over twenty levels to complete, each requiring you to avoid light at all costs as you try to get from point A to B. It’s a clever system that utilises both the standard puzzle tropes we’ve seen in other puzzle games, along with the use of quick reactions. However, whilst the concept of avoiding light is original to One Upon Light, some of the methods of doing so aren’t. You’ll be moving objects to block light sources, using levers to open doors and carefully timing your movement – there’s nothing you haven’t seen plenty of times before. It does introduce one original puzzle mechanic – the ‘Shadow Echo’ glove. This is used to slow down time and maintain an object’s shadow – a mechanic that is both original and neat. It’s a shame that this is the only instance of the game trying something a little more original. 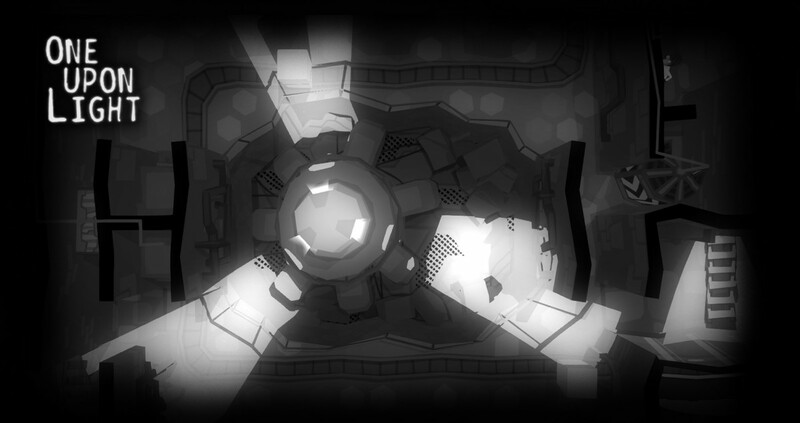 Levels are prone to difficulty spikes – not from the puzzles themselves but whilst manoeuvring to avoid light sources. Sometimes there’s very little room for error, meaning you have to time everything perfectly if you’re going to survive. Whilst this could’ve actually been intentional from the developers to keep you on your toes, it actually led to moments of constant frustration. Whilst I like a challenge in a game, One Upon Light was often guilty of giving you so little wiggle-room that progression could feel like a chore. Fortunately, the game features a reasonable checkpoint system meaning you’re never thrown too far back with each failure. Whilst the puzzles aren’t that original they are certainly well constructed. The levels of One Upon Light are surprisingly large, each mixing up puzzle elements efficiently to try and keep things interesting. It must be commended for constantly keeping you thinking – even if each levels puzzles can start to feel a little familiar as you progress. The familiarity isn’t helped by the monochrome graphic style – whilst the black, white and greys lend to the theme of the game, they won’t stop you feeling bored with your surroundings. A lack of variety seems to be a constant theme in One Upon Light; both aesthetically and within its gameplay. I feel like I’m being a little hard on One Upon Light; it doesn’t do much wrong during it’s roughly three to four hour playtime. It just doesn’t do anything to make it stand out. The puzzles can be clever and a few will have you scratching your head, it’s just that the game doesn’t really offer you anything you haven’t seen before. Add to that a few frustrating difficulty spikes along visuals you’ll quickly tire of and it becomes all the more difficult to recommend One Upon Light to puzzle fans.